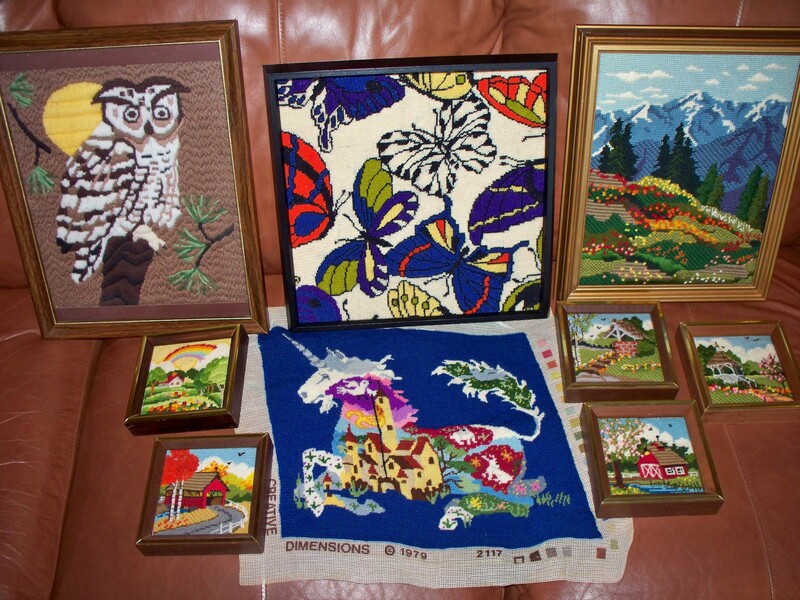 You know you are a geek who grew up in the 70s when….. – Trees & Flowers & Birds! 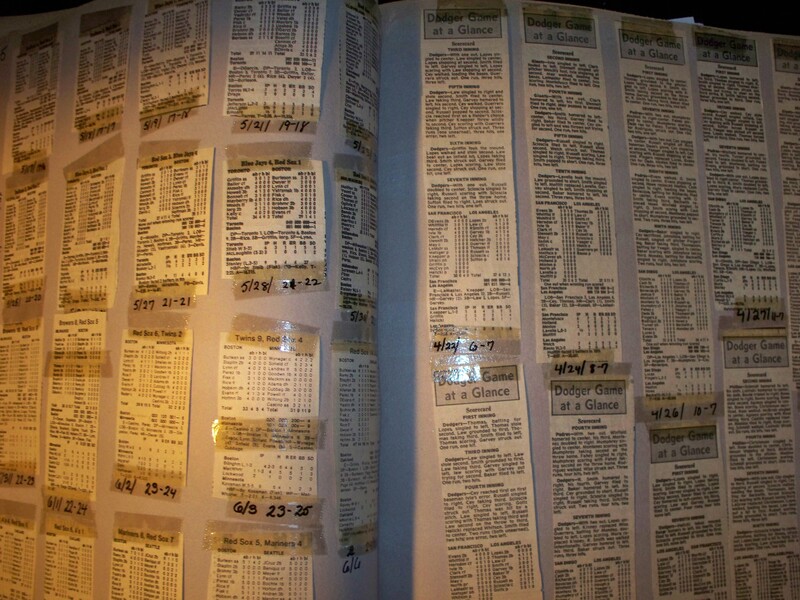 Apparently by 1980 I decided that I needed to save box scores for entire Red Sox & Dodgers season. Yeah, I don't know?! I don't remember doing this! 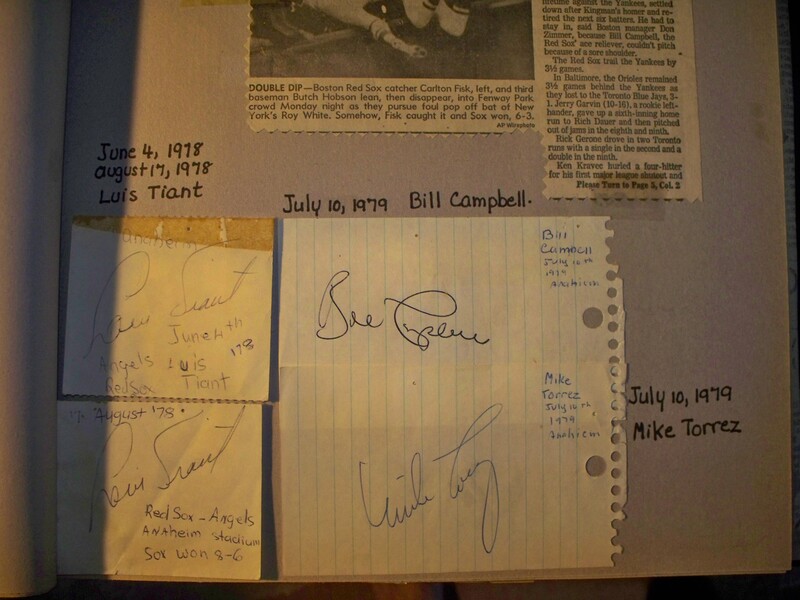 Best part of this scrapbook - signatures! 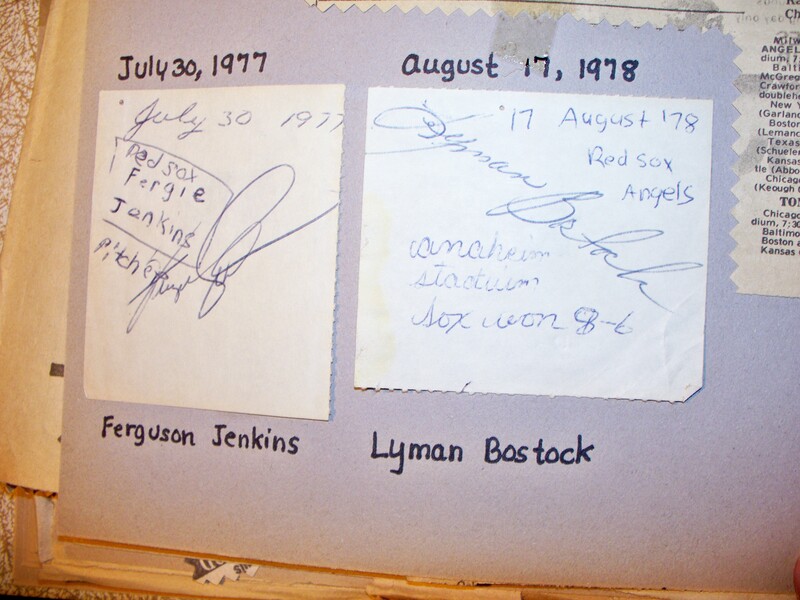 Ferguson Jenkins & Lyman Bostock - just 6 weeks before he was murdered. 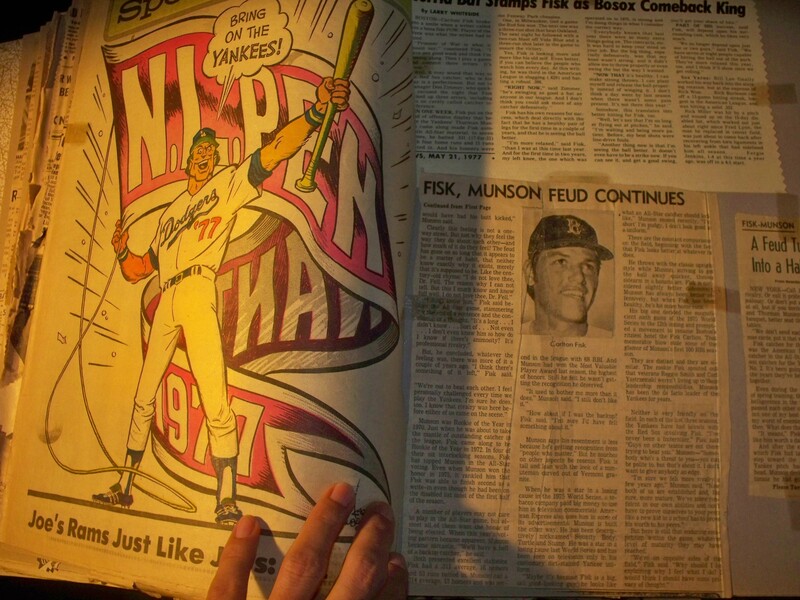 But hey – I didn’t just spend my time making baseball scrapbooks! Oh no, not his crazy gal! C’mon! It was the late 70s! 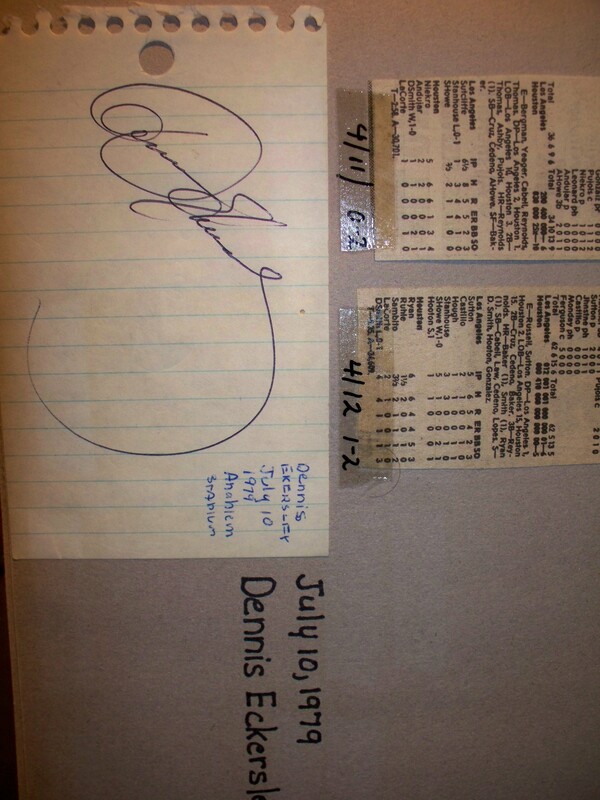 I was 11-15 years old. You know what ELSE I did? Yup, I made psychadelic pictures with yarn. And framed them (most of them) and hung them on my walls. A real trendsetter. 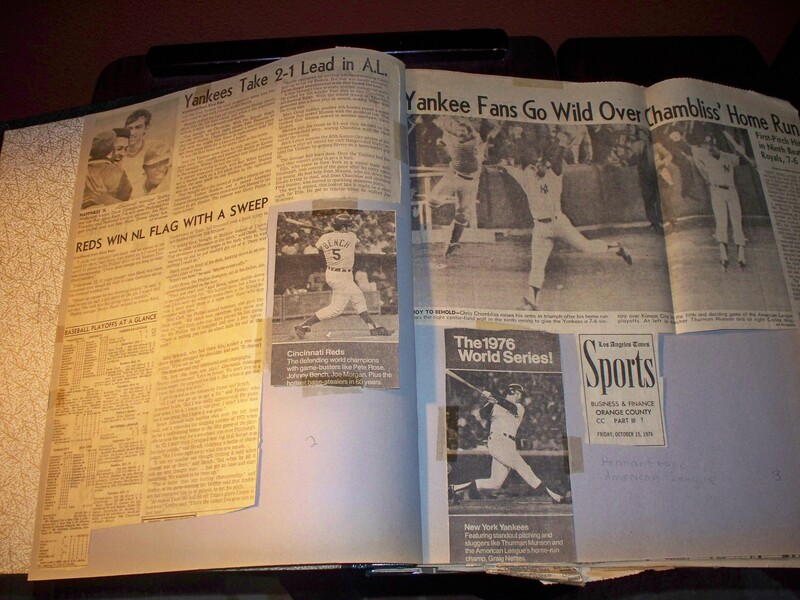 I am SO impressed you were such a baseball fan even then. If we weren’t already married you’d make the perfect catch for me or one of my brothers!